At this Brookdale Research Field, MBFI is researching energy dense annual forages. This page provides information about this particular research project; including the background, objectives, and updates. 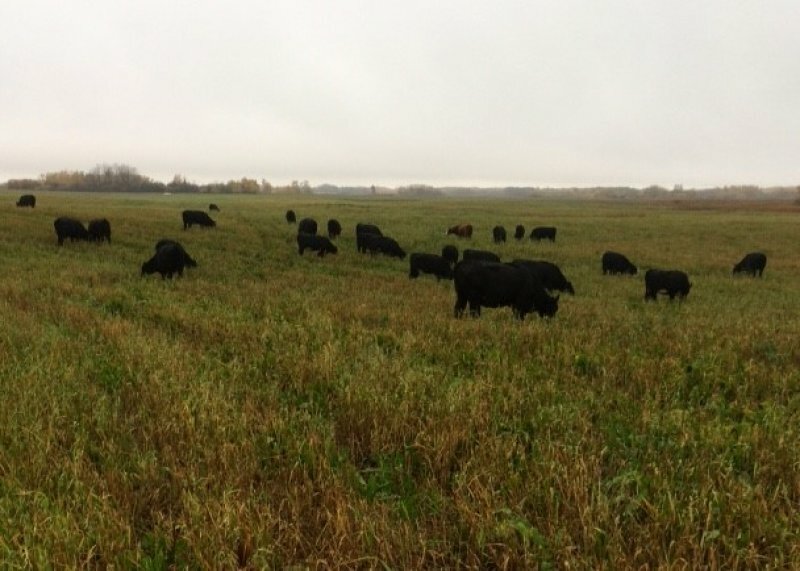 Energy dense annual forages within grazing systems may offer the potential to increase the grazing season length while providing feed of superior quality. 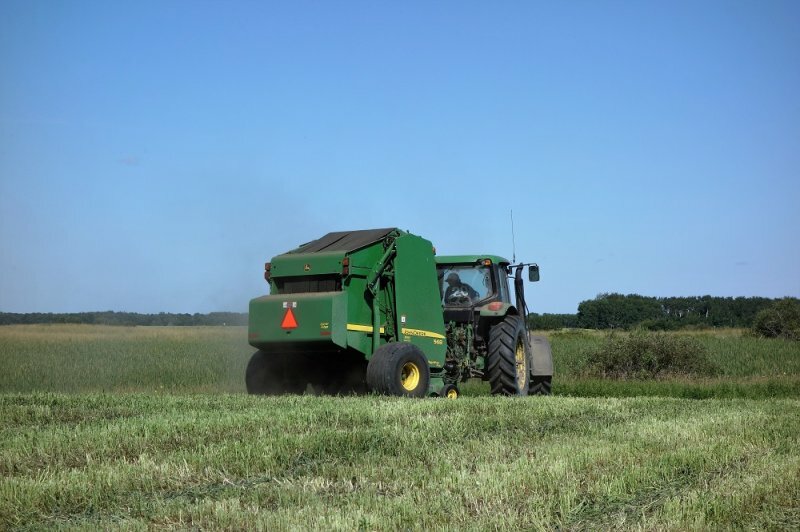 These types of forages can provide a new forage option for cultivated land that may help improve soil quality while at the same time provide forage to cattle during the fall critical period. In the fall, perennial pastures should be rested from grazing so they are able to survive the winter and be productive the following growing season. To evaluate the productivity and growth of four energy dense annual forages (EDAF) in four different locations across Manitoba. To measure the forage quality of the selected forages, including the amount of sugar, total digestible nutrientsand protein levels. To observe the growth characteristics of these ‘novel’ forages and evaluate their usefulness for beef producers. As of April 2017- Total biomass yields in 2016 of the two cuttings (end of July and end of September) for the oat/chicory and oat/plantain pastures at Brookdale were around 5 tonnes/ha dry weight. The re-growth after cutting in July was grazed from September 29 to October 7 by fifty yearling heifers and five cow-calf pairs. The cattle readily grazed both chicory and plantain, with a possible preference for chicory over plantain. Average daily gain (ADG) of the heifers and cows slightly decreased but the calves ADG increased. The body conditions score (BCS) of the heifers dropped slightly while the mature cows BCS showed no change over the 8 days. For 2017 a longer grazing period is planned to more adequately assess potential for weight gain on these novel forages. To reduce competition and increase re-growth potential for chicory and plantain the seeding rate of the oats nurse crop will be reduced from 1 bu/acre to a ½ bu/acre. Small plot trials at Carberry in 2016 showed that re-growth after mid-summer clipping of chicory, plantain, Italian rye-grass and a festulolium were approximately double where these species were grown alone compared to where they were grown with a nurse crop of oats at 1 bu/acre. As of October 2016- In 2016 only chicory and plantain were planted in larger pastures at the Brookdale site to re-evaluate their palatability and productivity. The chicory and plantain pastures were seeded with an overstory crop of oats. The oats were cut on July 27th, 2016. Twelve random hand-clipped samples were taken of each the forages to determine yield and quality. The oats overstory crop was baled for silage and placed into bale bags on July 29th. The cattle started to graze these pastures at the end of September, after they finished grazing the poly-cropping demonstration. As of September 2015 - Forage varieties have been established at the sites in Arborg, Beausejour, and Carberry for the purpose of measuring productivity and forage quality. Four forage varieties were planted at the Brookdale site: chicory, plantain, Italian ryegrass, and festulolium. They were planted in strips with a combined area of 9.6 acres. Forty-eight cow-calf pairs were grazed on the four forage varieties in October 2015, and their grazing preference was monitored. Observationally, the Italian ryegrass and festulolium were preferred, however, chicory has so far been the most productive. Plans are being developed for further testing of the energy dense forages at the Brookdale site in future years.